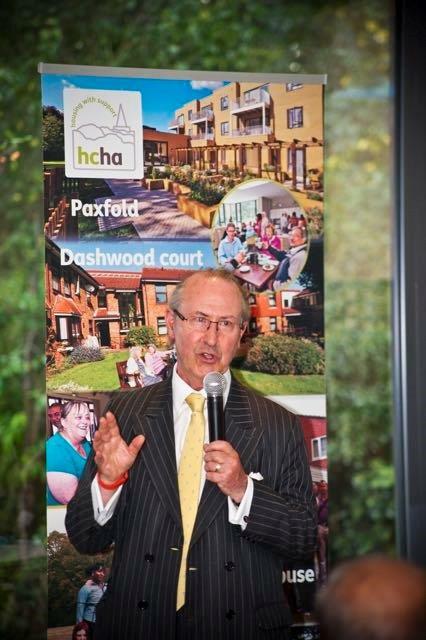 Harrow Churches Housing Association (HCHA) distinguished guest speaker Lord Richard Best Paxfold sheltered scheme for older people in to celebrate the first anniversary of the scheme’s redevelopment. Chris Holley, CEO of HCHA, welcomed guests including tenants, Board members, partners at Harrow Council, local churches and a host of stakeholders working across the social housing sector. 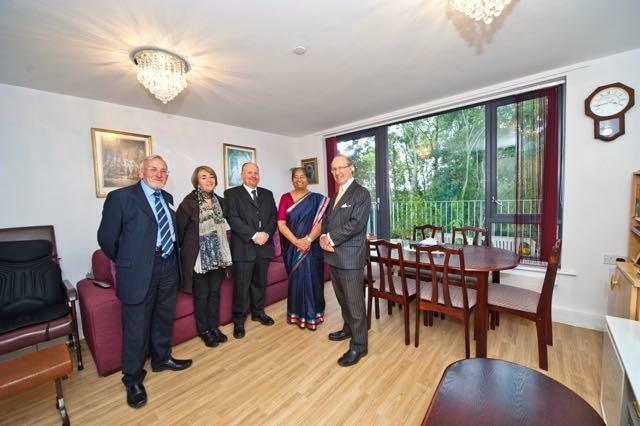 Guests were given a tour of Paxfold’s communal areas and gardens by the designers TM Architects and HCHA staff, as well as an opportunity to visit the apartments of two residents, June Bridgman and Bhanu Tankaria. Bhanu said, ‘I really like this location and the view from my balcony onto the woodland is so beautiful with lots of fresh air!’.